Posted by liverpoolchamber in Chinalink. UK Trade & Investment (UKTI) and the China-British Business Council (CBBC) invite you to this seminar, sponsored by Cathay Pacific and supported by the Liverpool Chamber of Commerce to help companies in the North-West of England identify and explore opportunities in China’s regional cities. companies interested in how the UK government can help support business development in China. A chance to win one of two Business class tickets flying to any destination in China on the Cathay Pacific and Dragonair network, including a stopover in Hong Kong AND two-nights complimentary stay at either Island Shangri-La or Kowloon Shangri-La in Hong Kong plus three-nights stay at any hotels in China under the Shangri-la chain. The prize draw will only be available to registered delegates who attend the Regional Cities events. Full details will be provided at the event. The China Import and Export Fair (Canton Fair) is the largest trade fair and business platform in China, with over 170,000 overseas buyers and 22,000 exhibitors at last session. Canton Fair provides one of the most effective and directs solutions for sourcing from or selling in China. Now, it’s coming to Liverpool, and you have a fantastic opportunity to know more about how taking part could benefit your business. ChinaLink of Liverpool Chamber of Commerce is working closely with Guangzhou-based China Foreign Trade Centre to organise a visit to Liverpool by a delegation from Ministry of Commerce of China and the Canton Fair organiser. If you are interested in trading with China, or have been involved in the Chinese market already, this is a great chance for you to get the first hand information on import & export opportunities, regulations and best practices. It is of particular interest for companies seeking to outsource, manufacturers requiring components made, importers and exporters, international trade advisers, wholesalers and policy officials from local authorities. If you would like to develop your business in China market, you just can’t miss it. The event is free to attend however places are limited, allocated on a first-come first-served basis. To book your place, please email chinalink@liverpoolchamber.org.uk with your name, company details and delegate numbers, or download and complete the attached booking form. Posted by liverpoolchamber in Chinalink, International. Chinese delegates visited Liverpool last week ahead of Liverpool’s exhibition in the Urban Best Practice Pavilion at the Shanghai World Expo 2010. The chief planner of the World Expo site was amongst the delegates, along with the chief planner of the Urban Best Practice Pavilion. The delegation was met by the Lord Mayor of Liverpool Cllr. Steve Rotherham, Liverpool City Council leaders Warren Bradley and Mike Storey, and a number of other high level members of Liverpool’s civic and business communities. The delegates were given a tour of the city, which included the Albert Dock and Liverpool One, before being taken to the university to view a student exhibition showcasing potential designs for Liverpool’s place at the World Expo. The party then moved on to the town hall for a drinks reception. The purpose of the visit was to reinforce Liverpool’s commitment to strong relations between China and the UK – a message which was reinforced in London by the visit of Chinese prime minister Wen Jiabao to hold talks with Gordon Brown about increasing trade between the UK and China (pictured above). Posted by liverpoolchamber in Chinalink, Events. China is one of the world’s most rapidly growing economies, with GDP growth figures of around 9 percent per annum in the past quarter century. In 2007, total UK export were worth £3.9bn – an increase of 13% over 2006. This makes China the UK’s 11th largest export market. Many businesses are aware of the massive potential for success in China, but they may not know how to capitalise on those opportunities. The potential market for UK products will develop rapidly as China’s economy moves towards selling more sophisticated products and services in to competitive market place. Pre-dinner reception sponsored by The Consultancy Company. What should British business make of the impacts generated by the Beijing Olympics? 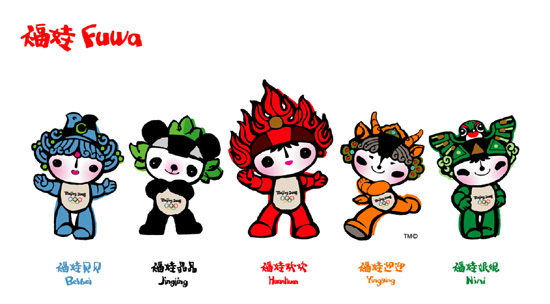 Will China or Beijing suffer a post Olympics blue? Will China be affected by the credit crunch? Will China’s economy slow down significantly or will China be the new opportunity for the global economic growth? What are the policies of Chinese government toward UK-China trade and investment? How should the importers, exporters and investors reposition themselves and change their China strategy under the new global uncertainty? Will China continue to be the workshop of the world? Where will be the new growing hotspots in China? What are other potential new challenges and opportunities? You will have an opportunity to book an one to one session with Dr. Kegang Wu, consultant to Liverpool Chamber and a leading China market adviser in the UK market to discuss specific project or issue of China market. The seminar and trade clinics are free. You could attend any one of them or both of them. 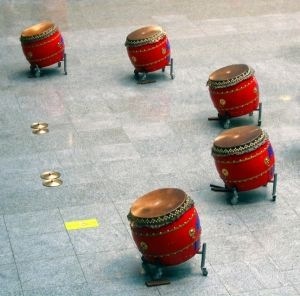 Posted by liverpoolchamber in 2008, Chinalink, Culture, Events. You Don’t have to be in Beijing to watch the Olympic Opening live! “At lunchtime on Friday 8 August, the world will turn its eyes to the Olympic Stadium in Beijing for the spectacle and splendour of the Opening Ceremony. Millions of people worldwide will view this historic event, which marks the beginning of 16 days of world-class competition.” (BBC Sport). If you are disappointed about not being able to be in Beijing, why don’t you join us at this specially organised luncheon to celebrate? If you have been looking for a unique event to entertain your clients or staff, what can be more special than to invite your guests on such a memorable occasion? If you like Chinese culture or share an interest in the local Chinese community, this is the opportunity to rub shoulders with the locals at the heart of Liverpool Chinatown. If you are ChinaLink clients who have been doing business with China, what better to do than coming to toast ‘Gan Bei’ for your business success? If you are just starting to put China on your business agenda, you won’t find a better crowd to network with at the lunch. If you are Chinese businessmen, officers, and students visiting the UK or British Chinese, you will be proud to share the moment simultaneously with the 1.3 billion Chinese in China who will be also watching live on TV. The cost of the event, including drink at arrival and a three course Chinese lunch is £35.25 per head (or £30 concession) inclusive of VAT. (Cheque to be made payable to Liverpool Chamber of Commerce), or a table of 10 at £300 plus VAT. We anticipate this to be a popular event. To book your place, please email ChinaLink at chinalink@liverpoolchamber.org.uk or call us on 0151 227 1234. Posted by liverpoolchamber in Charity, Chinalink, Environment, International. Over a week after the devastating earthquake measuring a massive 7.9 on the Richter scale in Sichuan province, China and the rest of the world, are still coming to terms with the magnitude of this tragedy. An estimated 71,000 thousand have been killed, buried or remain unaccounted for. 5,000,000 are now homeless and in need of support. 220,000 have been injured, many of them children. The devastation zone measures an area of approximately 100,000 square kilometres (40,000 square miles) — an area roughly three quarters the size of England. Entire towns in mountainous Sichuan province were flattened in Monday’s quake, and have subsequently been hit by further aftershocks and landslides, making the ongoing search for any remaining survivors impossible. 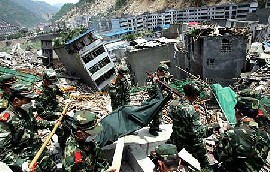 With rescue operations across Sichuan continuing, providing accommodation and medicine to those lucky to survive is now critical. Tents, medicines & equipment are in short supply and are urgently needed. We appeal to the business community in the UK to help in supporting the effort to collect donated and purchased tents and medicines for China’s earthquake zones. The Chinese Embassy and Consulate General will help in making arrangements at the China end to ensure a speedy delivery to the Earthquake area. Click ‘more’ for the full list of medicines and equipment needed.